Tashijunbu Monastery is one of the four largest monasteries of the Yellow Sect in Tibet, once home to 4400 lamas. 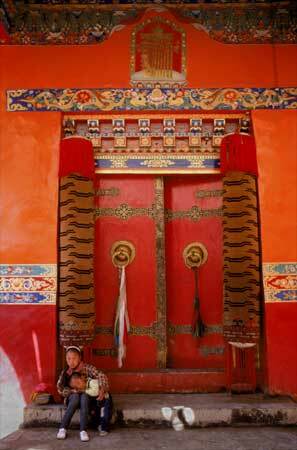 It is also the palace of the Panchen Lama. Pilgrims travel from great distances to visit this monastery.